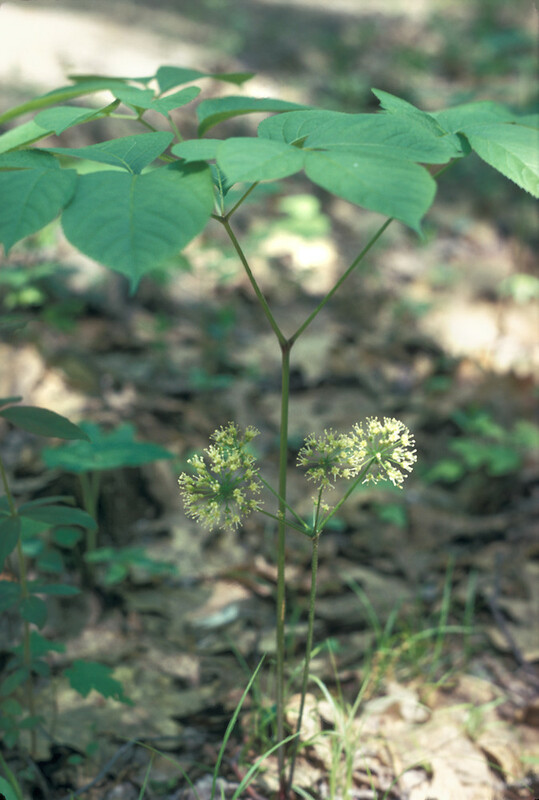 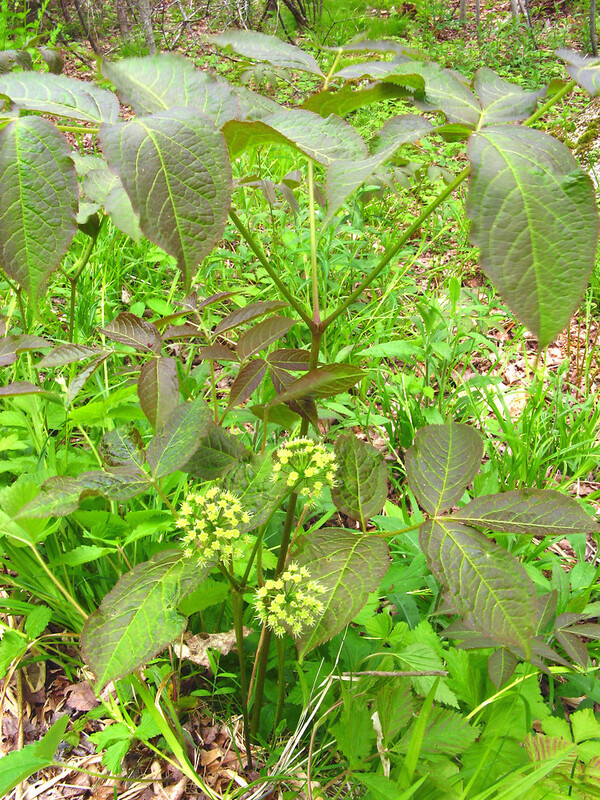 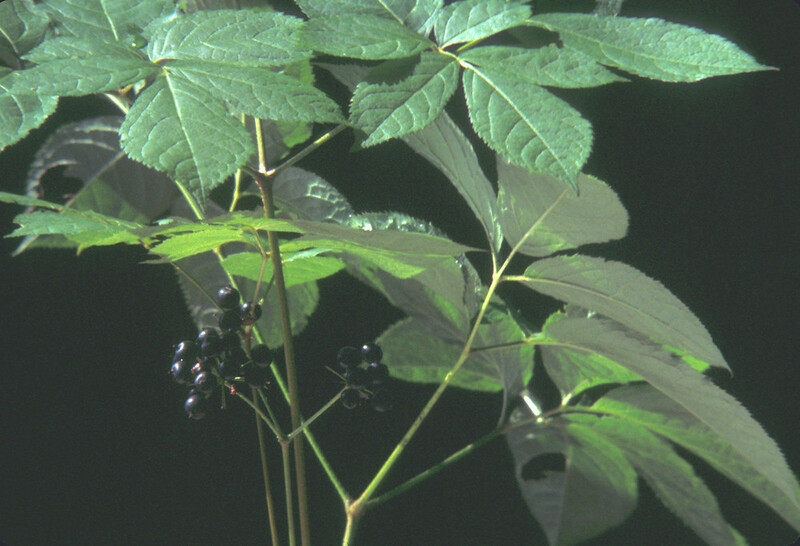 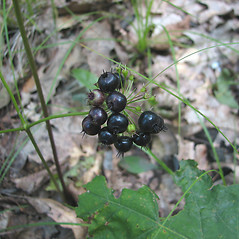 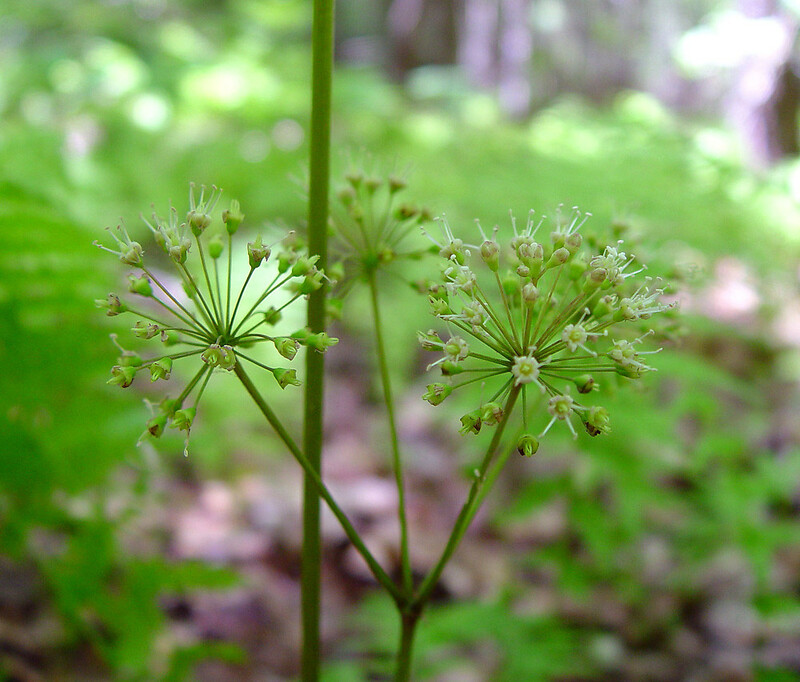 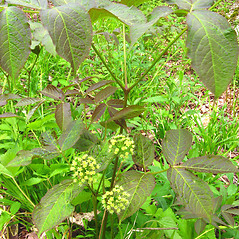 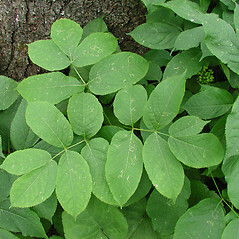 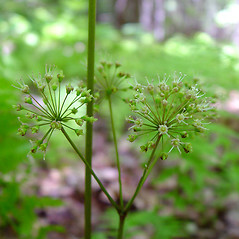 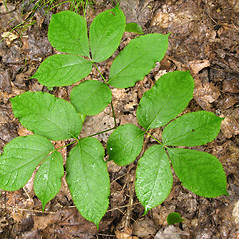 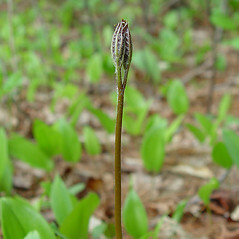 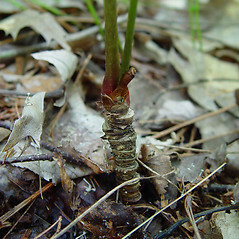 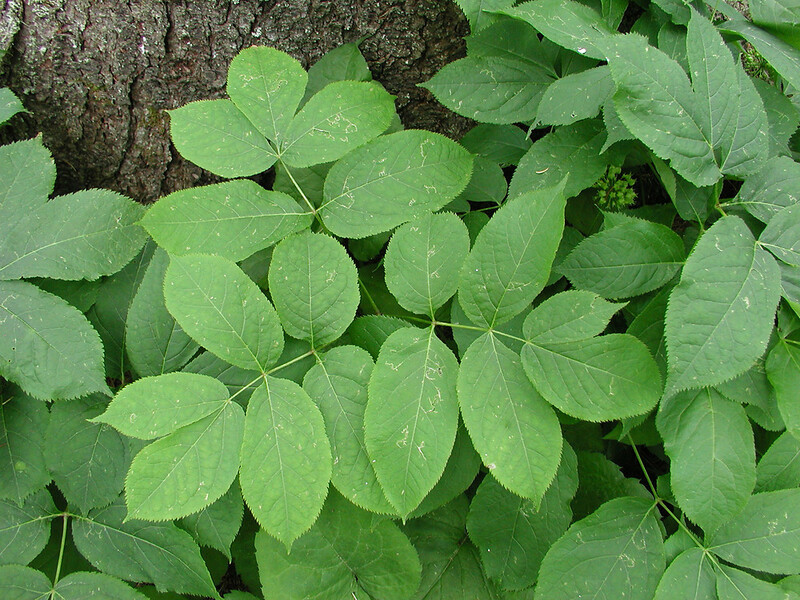 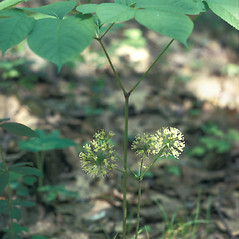 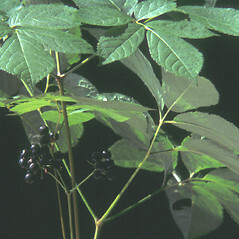 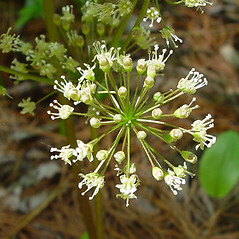 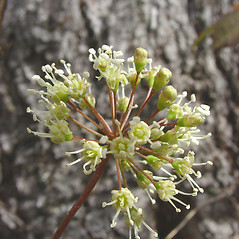 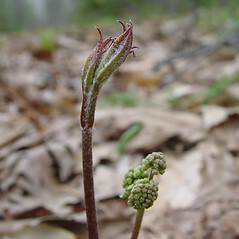 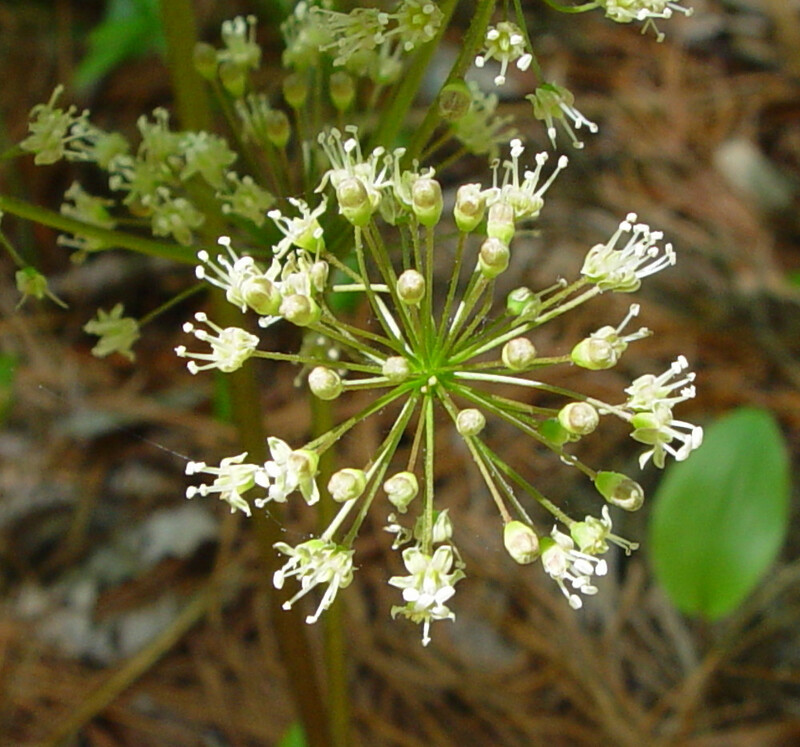 Wild sarsaparilla is a 1-2 foot tall shrub common to the forest understories of southern New England. 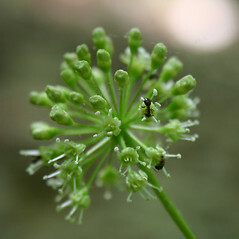 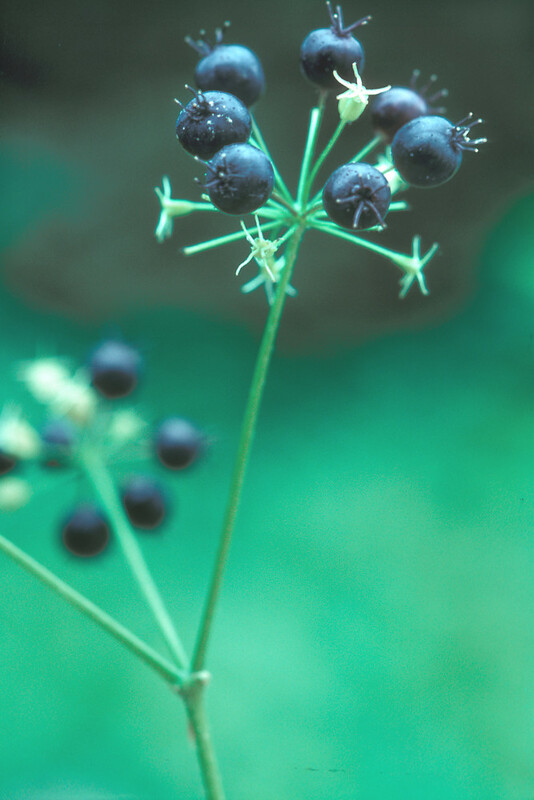 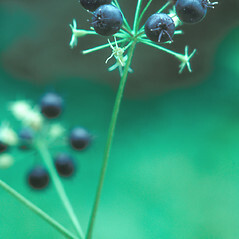 It produces tiny white flowers in spherical clusters beneath the compound leaves, which ripen into blue-black berries in mid-summer. 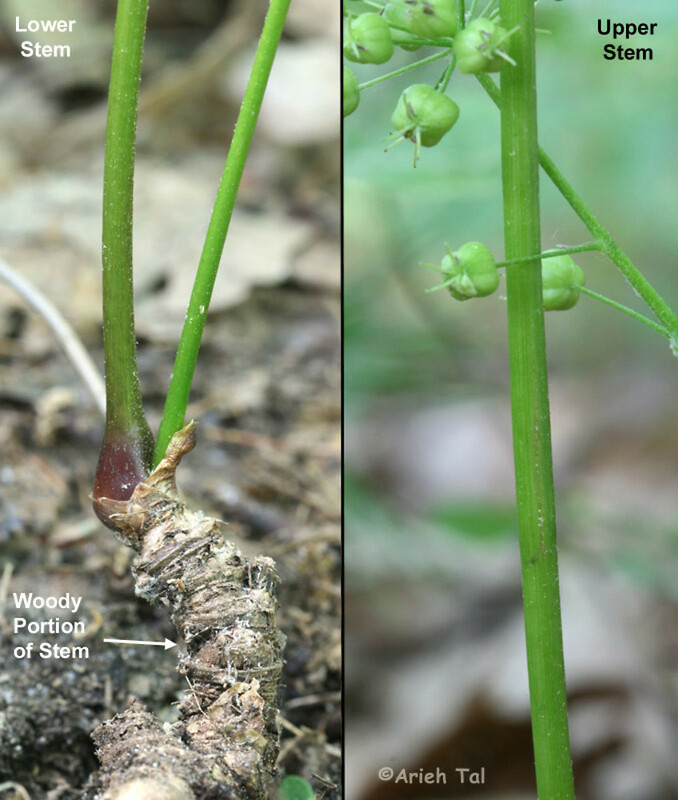 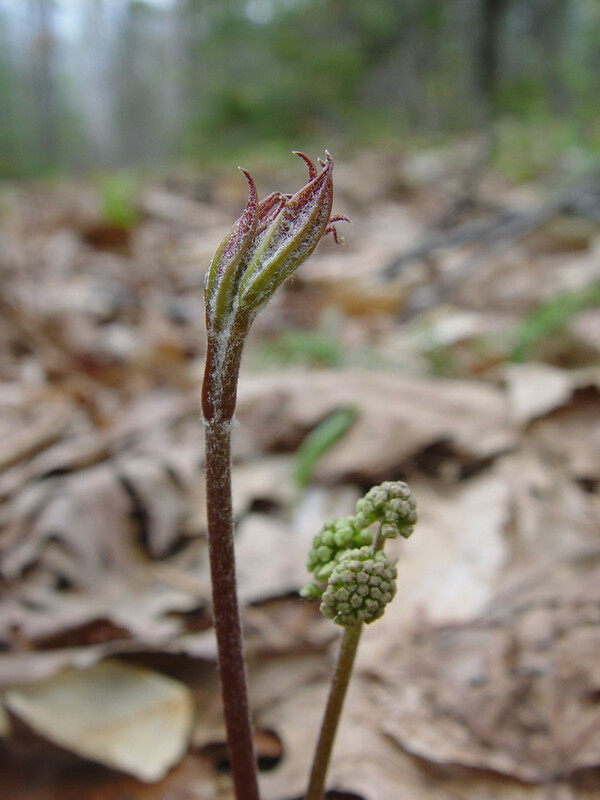 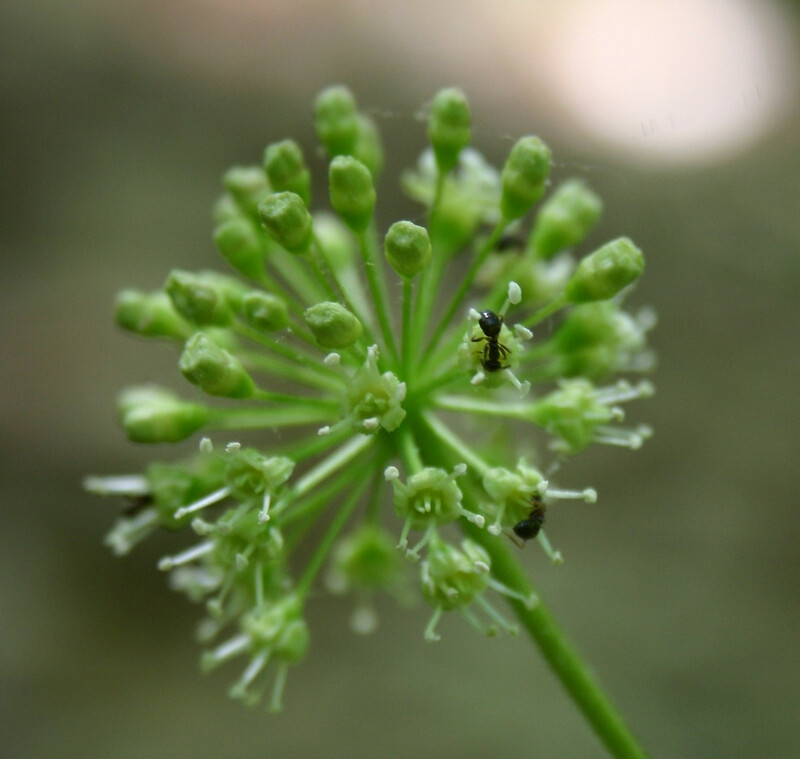 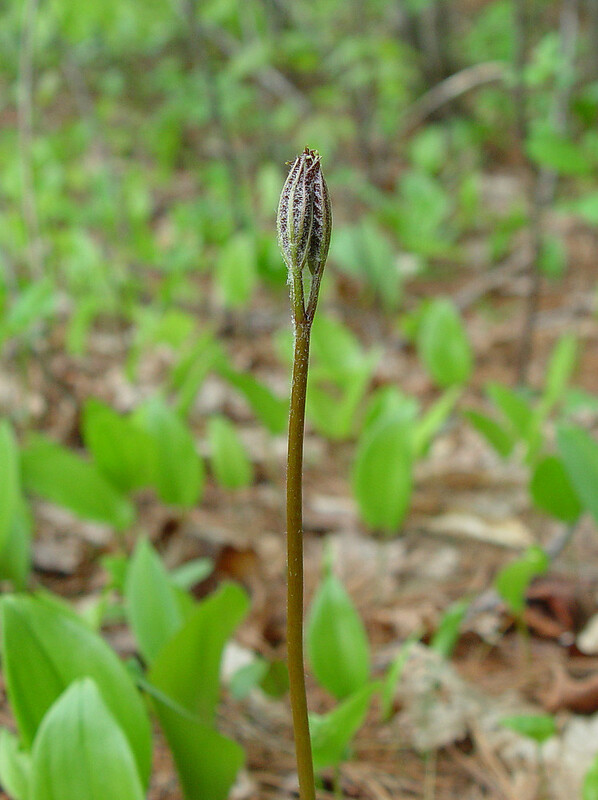 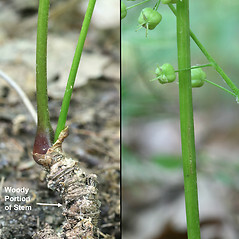 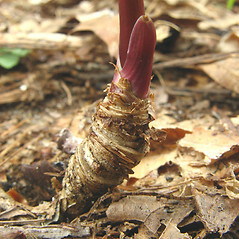 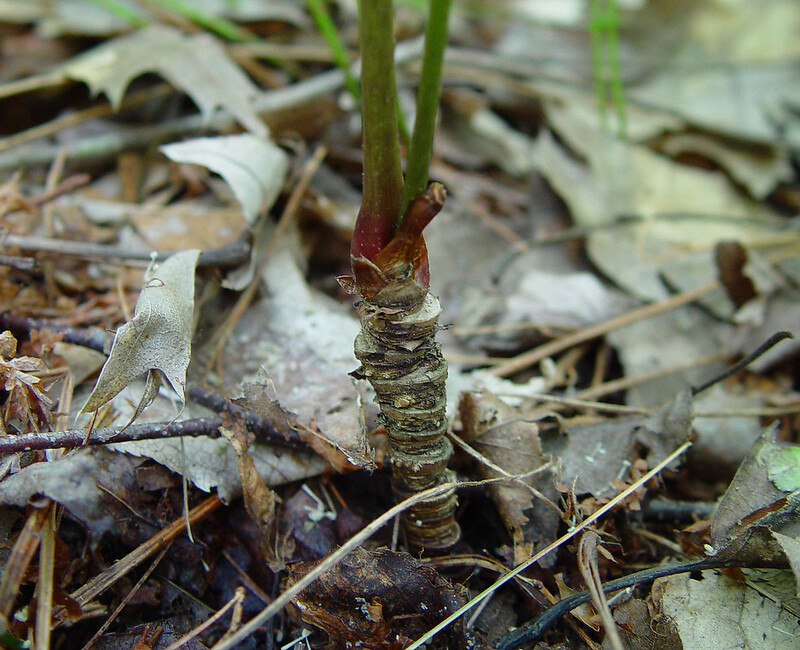 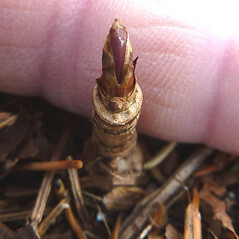 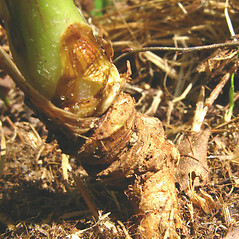 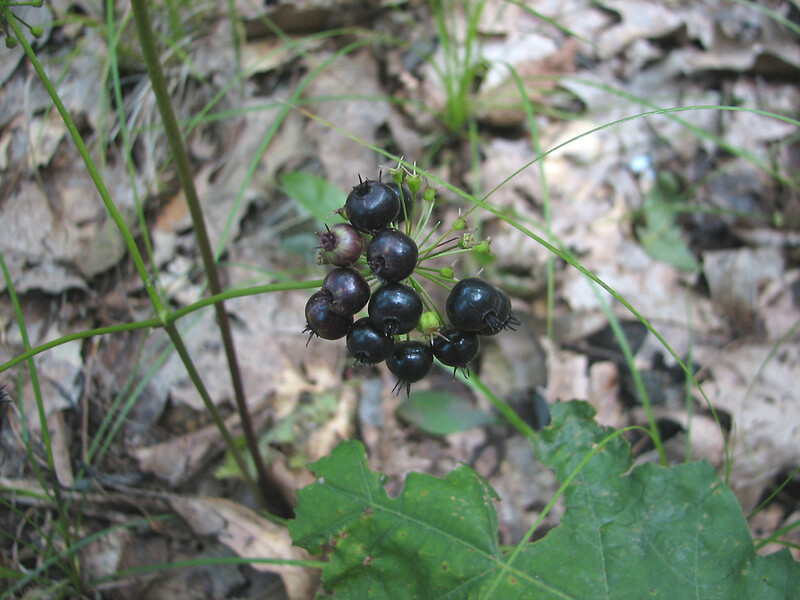 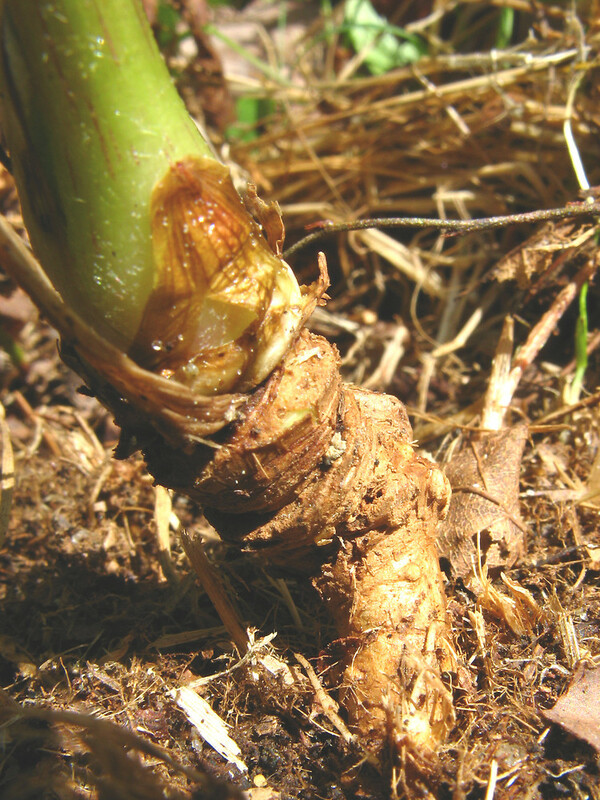 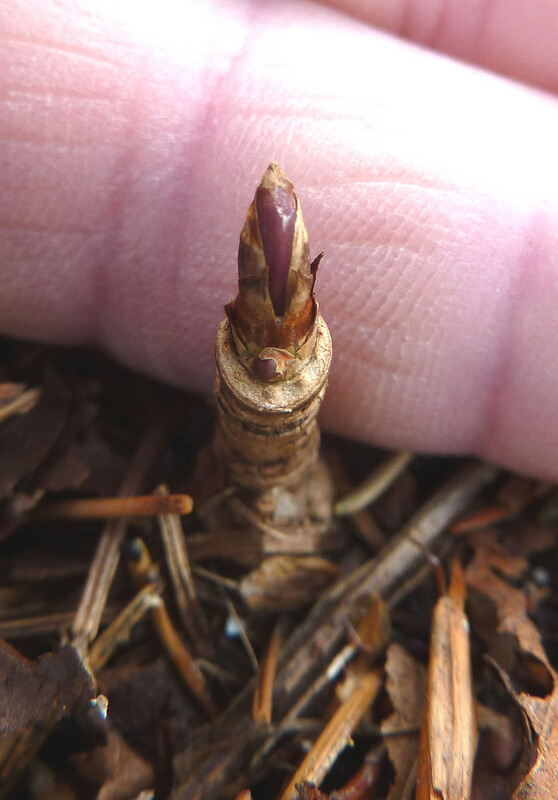 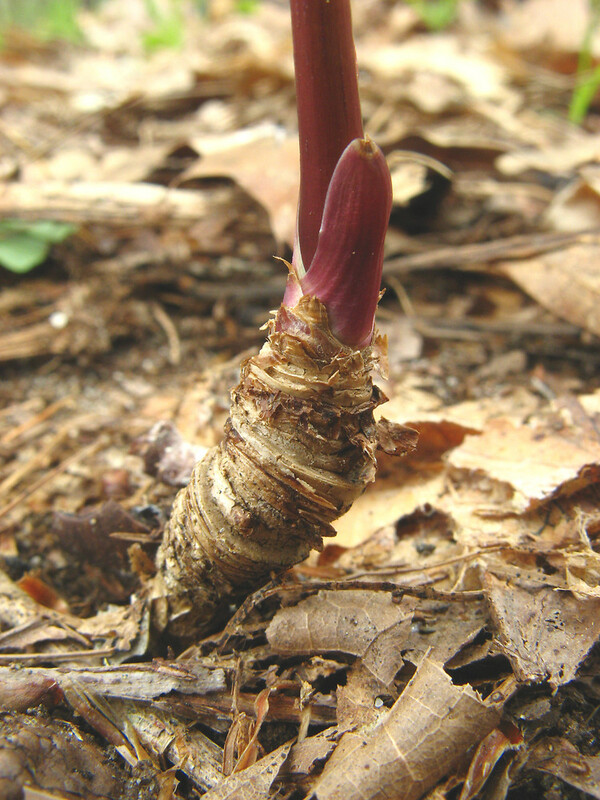 The rhizome of wild sarsaparilla has a sweet, aromatic taste, and sometimes has substituted for sassafras in the making of home-made root beer. 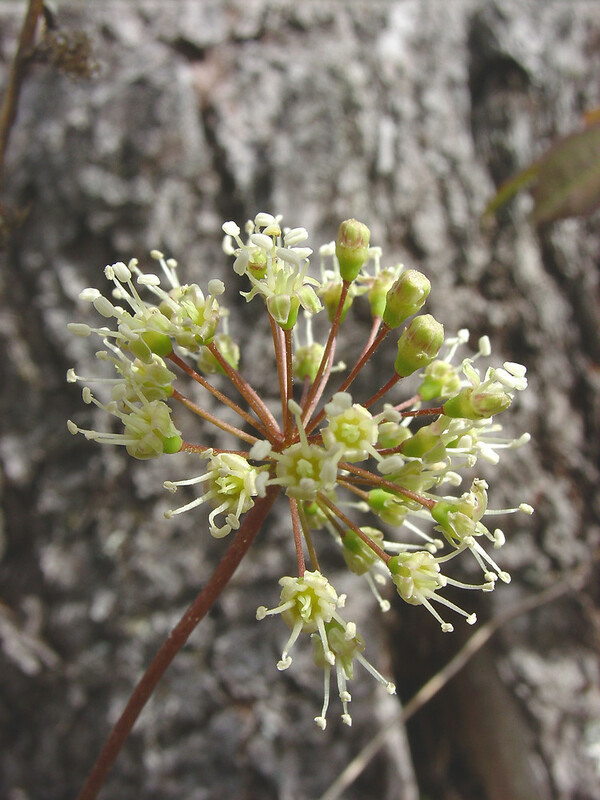 wild sarsaparilla. 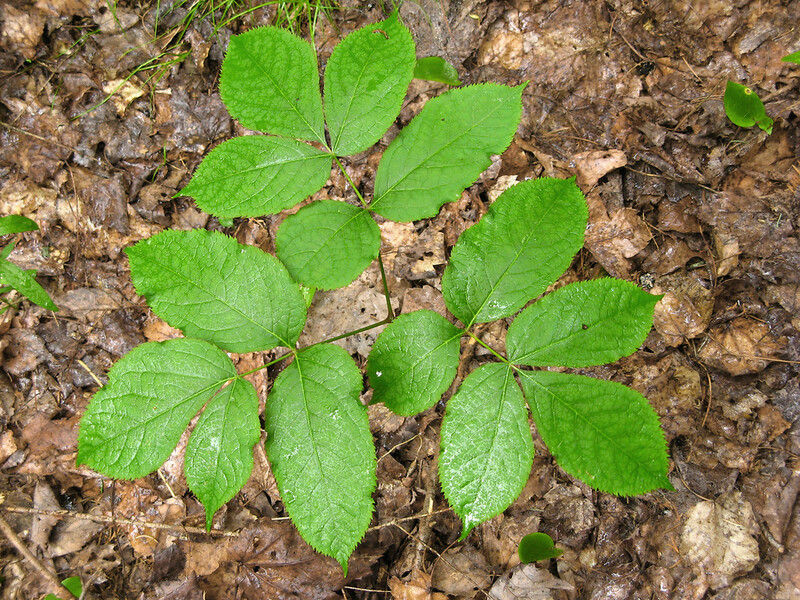 CT, MA, ME, NH, RI, VT. Forests, woodlands.